YAY, Mats is 4 years old! Happy, happy Birthday, cutie! It was pretty remote though, no kid boats around and since Mats Birthday was approaching, we decided to go to another Marina and Palmira had a spot for us. Also a pool and a playground close by. So, after we had Mats unwrap his presents, we motored through the La Paz channel to the Marina not far away. By the pool at Palmira Marina, we hung up Mats Pinata full of candy and he beat onto it, for about an hour, to get all the candies out. He had a blast! A nice lady told us about a restaurant just past the playground and we had a great birthday dinner with beautiful sunset. Lovely day! After Mats birthday, his buddy Charlie from SV Lea Scotia arrived in La Paz. We got together at a wine tasting and all had dinner at El Mesquite Grill. It was very good and Michele and myself continued drinking red wine. I suffered the next day with a big hungover. We enjoyed the Palmira Marina in La Paz. Despite that they did not have a key for us for about 4 days and we had to wait for people with keys letting us on and off the dock and bathrooms. Boat owners had not returned there keys despite a $ 50,- deposit and it seems difficult for the Marina to get new ones. So, we had to wait till someone checks out, which did not happen due to a strong northerly. Everyone, including us, stayed put. But they had a lounge area with good Wifi, I could complete all the bookings of flights and an Airbnb. We have an adventure ahead. The Captain got us a flight with his miles out of Cabo to San Francisco, which took a while, as it had to be done via phone. In San Francisco we get to stay with one of my best friends and hang out with more and I need to take care of a few things while we are there. After 3 days we fly from Oakland to Barcelona, just because I found this stellar deal on Norwegian Air. Mats and I will stay in an Airbnb for 2 days and I booked a photo session, where we get to see different parts of the city. Than onto Basel, where my Dad will pick us up, he only lives an hour away. I wanted to have all of that done before heading to nowhere land. I knew, I would enjoy my time more, knowing all is set for the next step. I also did a lot of blogging prep and we had food at great restaurants and started running into cruising buddies here and there. Mats enjoyed the playground and pool several times. On the last day, we went to La Paz and checked out the whale museum and stocked up on provisions. Someone by the Marina had arranged a movie for kids by the pool called “Coco”. It was a very cute one, but when the holiday “day of the dead” was displayed with lots of skeletons, Mats got scared and wanted to go back to Alsager. We are now ready for new places! 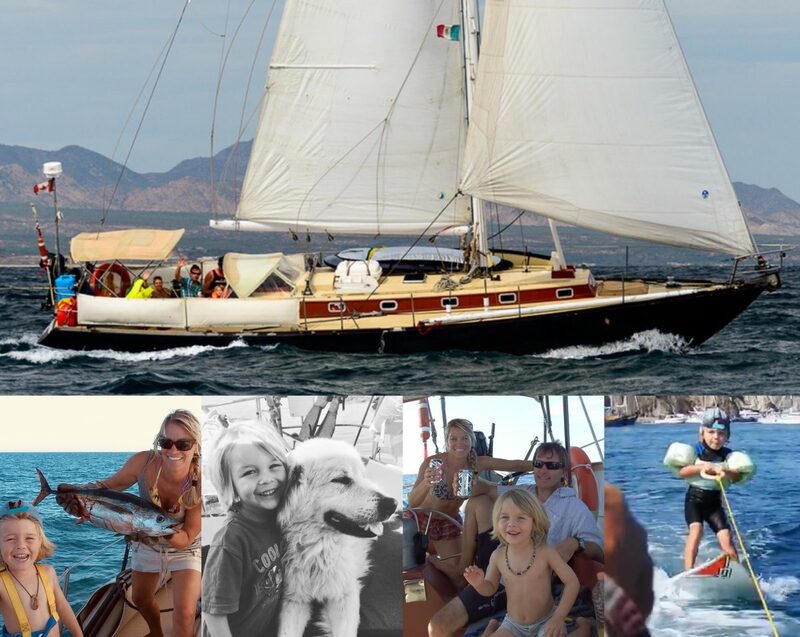 Below are some pics from the Costa Baja Marina and the impressive former Yacht fr””om Steve Jobs called “Venus”!